It is the time of year to decorate our homes with things that inspire holiday joy. 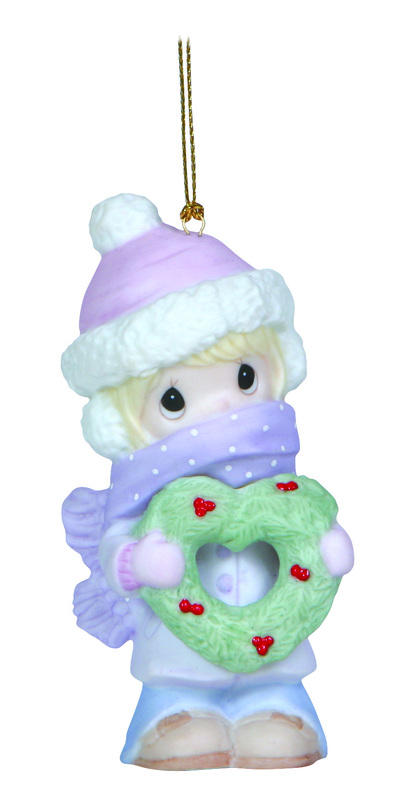 The cutie featured in this hanging ornament is all wrapped up in the season, and you will be too when she graces the boughs of your tree. 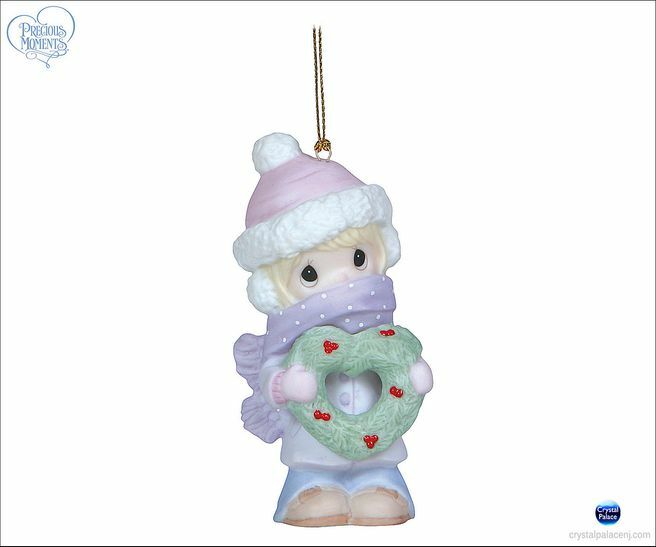 Bisque porcelain ornament. 3 ½" H.